When you are running a WordPress website, you may want to let people register or create their own profiles. This is important if you want to let visitors to your site create a community of subscribers and even contributors. In this guide we will show you how to allow users to register for your Wordpress site. When they register, they will be setup as a Subscriber by default. You can change the user's permission level after they have registered, which will be covered in later tutorials. Roll your mouse over the Settings link in the navigation menu, then click General. Click the check box next to Anyone can register. Now, click the drop-down box labeled Subscriber. Click the Save Changes button. You will then see a message stating Settings saved. Congratulations,now you know how to let users register for your WordPress site! Quite sure we are not the only ones in this situation, and there has to be other means to get around this... What are others doing that circumvents this? Are we missing another option that would accomodate this? You may want to check into some plugins to see if they have features that will meet your needs. There are thousands out there, so odds are there will be one that is close to handling the ability to allow people to register without having too many bots get through. How do users register after we enable this feature? Is there a registration page? 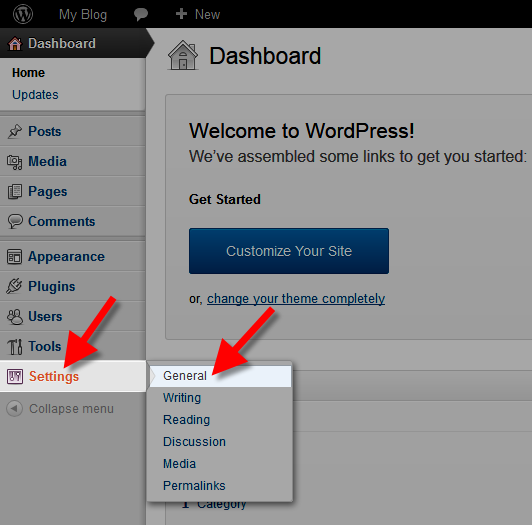 After enabling this feature, a Register link will be located on your wp-admin page.